It's 1914, and a bold, young American called Mary Russell is about to experience a rather dynamic change of life. 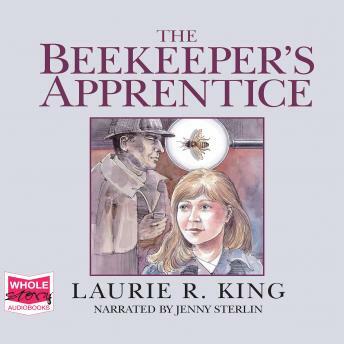 Deep in the rural English countryside, she meets a retired beekeeper by the name of Sherlock Holmes. Although many years have passed since he astonished Watson by solving Scotland Yard's most baffling crimes, The Great Detective is still very much in possession of his excellent faculties. Surprisingly for both of them, he sees Mary's untapped potential for his old line of work. When Holmes' greatest enemy returns with a diabolically resourceful plan of revenge, Holmes realises he's facing the case of his lifetime - and that he needs Mary's help to solve it.